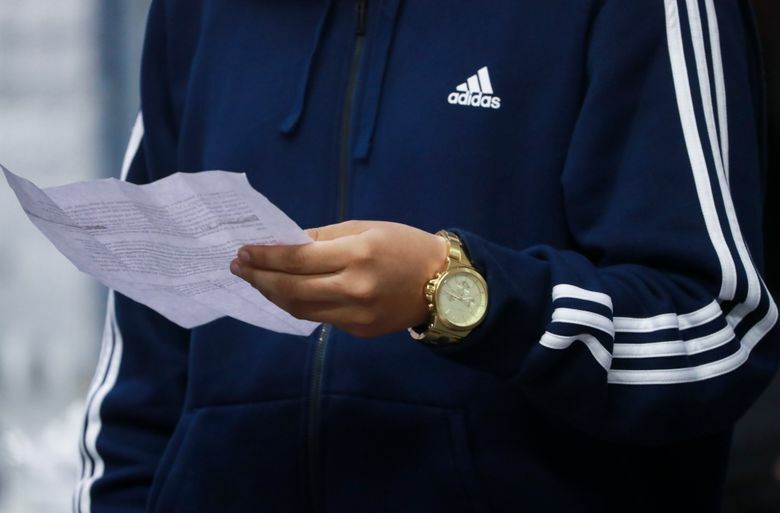 A teen facing felony robbery charges recently avoided prosecution with 100 hours of self-study. Now a dozen other criminally involved youths are undergoing a similar process. Is this cautious new initiative at juvenile court the wave of the future? Every day, Jimmy Hung stands at the window of his fifth-floor office in Seattle’s Central District, staring into an enormous crater where bulldozers are preparing ground for a new, hotly debated youth detention center. If Hung has his way, many of its 112 beds will sit empty. Not because the juvenile-court prosecutor disputes the need to punish kids for robbery, gun possession or harassment, but because he doesn’t see evidence that jailing them changes anything. Last year, Hung risked professional ridicule by allowing a 15-year-old robbery defendant to answer for his crime through an entirely different process: one that required months of self-reflection and more than 100 hours of sitting in a circle with counselors, family members, victim advocates, educators and a juvenile-court judge, all of whom pushed the young man to confront himself. It may sound softer than criminal prosecution — each peacemaking circle begins by burning sage and progresses with a talking stick (or feather) passed from hand to hand — but Hung could not be more serious. In that frustration, Hung is not alone. 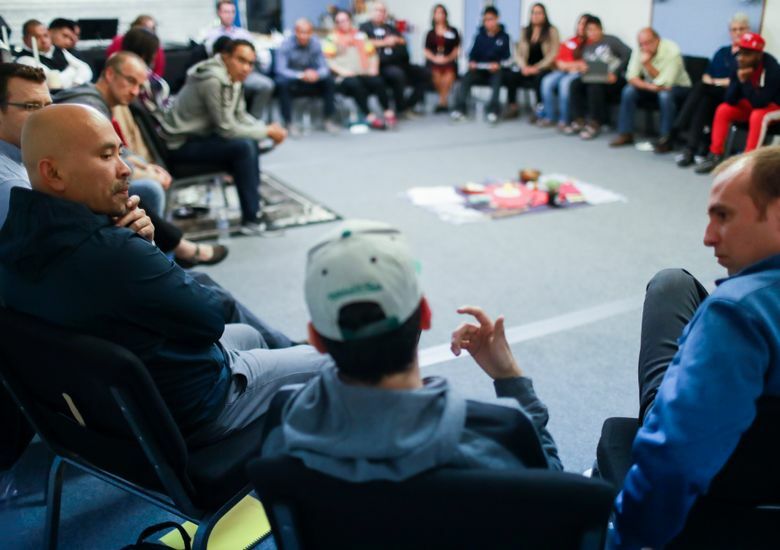 Juvenile courts in Clark and Kitsap counties also have begun using the peace-circle approach — often referred to as restorative justice — to address low-level misdemeanors. So have courts in Brooklyn, Oakland and Baltimore. But King County is the only place Hung knows that is attempting it with youths accused of more serious offenses. Juvenile-crime rates in King County decreased significantly over the past decade, though felonies have ticked upward a bit since 2016. But what most concerns Hung is the revolving-door quality of a system that funnels teenagers through detention and sees most leave no better than when they arrived — sometimes far worse. So the success of Hung’s first peace-circle experiment — which resulted in a job and college enrollment for the high-school student at its heart, rather than a two-year sentence — encouraged the chief deputy prosecutor to expand his reach. A dozen kids have now gone through the peacemaking process, which can last anywhere from a few months to more than a year. Several weeks ago, Hung and 29 other prosecutors, counselors, gang-involved teens and their families — plus faith workers, a police officer and the director of King County’s juvenile detention center — gathered in the back of a Renton church to witness the final stage for one of the latest defendants. Ray and another boy had robbed a teenager in West Seattle, threatened assault and, later, attempted to rob another man. All of the crimes were part of a gang initiation, they eventually revealed. Ray must attend two more circles, during which prosecutors and defense lawyers will hammer out longer-lasting consequences, likely some form of community service. But getting the teen to connect his victim’s experience with his own feelings for family had been an essential goal for peace-circle leader Saroeum Phoung. 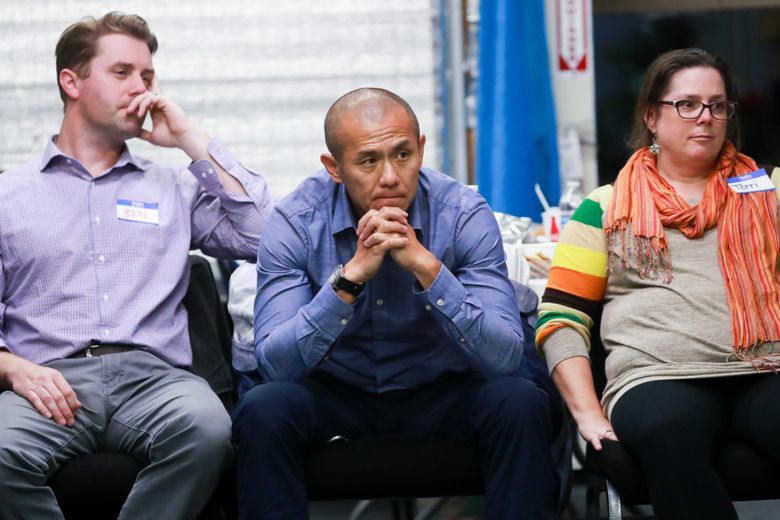 Phoung, 44, a former gang member, has been leading such efforts for more than a decade, first in Boston, where he’d landed after emigrating from Cambodia, and now in Seattle, where he has lived since 2016. The work is high risk and fraught with the potential for failure, since each young defendant represents a leap of faith on the court’s part. One teen who’d claimed a complete turnaround was charged two weeks afterward with first-degree murder, in connection with the September stabbing of 15-year-old Derek “Peachy” Juarez-Lopez. That experience has rattled Hung and made clear how important it is to select the right candidates. Even teens who have been through the peacemaking process, and benefitted, say it is not for everyone. “There’s a solid amount of kids that this won’t work for — kids who think ‘I’m a gangbanger, and that’s all,’ ” said Vincente, now 18, who was a senior at Ingraham High School when he threatened another student, over social media, with a semi-automatic weapon. “If you don’t fight me, I’m gonna catch you!” he’d said, waving the gun to make his point. Shortly afterward, detectives arrived at his home, cuffing Vincente and bringing him to a holding cell at juvenile detention. With no prior record and not so much as a detention at school, Vincente became the second youth Hung approached with the peace-circle alternative. For the next year — part of it on house arrest — Vincente met for three-hour monthly sessions with his family. Then he faced the mother of his victim. A year later, Vincente has completed high school, found a job and enrolled in marketing classes at Shoreline Community College. He credits the peacemaking process with rerouting the trajectory of his life. Its ultimate success will not be known for years — not until Vincente and Ray and the dozen others who’ve been through it become adults. But Hung believes this is a risk worth taking.